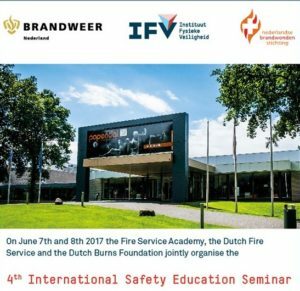 One of the topics during the seminar in June (7/6 – 8/6), 2017 in Arnhem, the Netherlands will be mobile sprinklers. Copenhagen Fire & Rescue Services will present the results from the pilot project (2012-2015) with 270 units that since then has increased to more than 350 units. Q-Fog will attend the seminar together with the local dealer NATER Gas & Vloeistofsystemen BV.